Iris Versicolor seedling that took my eye. 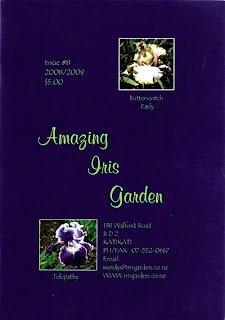 Wendy Begbie is the owner of Amazing Iris Gardens located in Katikati, Bay of Plenty. Large Size rhizomes. 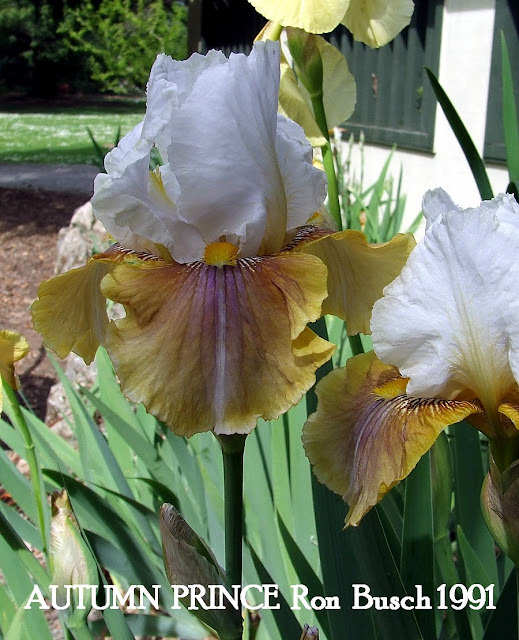 Extensive Catalogue lists Dwarf ,Border, Intermediate,and Tall Bearded Irises. Wendy is a great supporter of New Zealand Bred Irises and this is reflected in the Catalogue listings.I have always received very friendly service and prompt replies to email inquires. Good price range and great service. Give this nursery a try!! 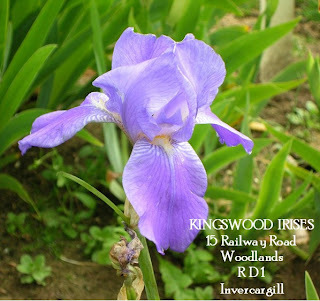 Write to Marion Rutherford for Kingswood Irises Catalogue which is on CD with some of the best Iris photos around. Catalogue lists Miniature,Standard, Border, Intermediate, and Miniature Tall Bearded Irises. Good prices and catalogue is a mixture of Historic , Heritage, and Modern irises. Always received very friendly service. This Tall Bearded Iris is a treasure to grow and is unusual in that at a distance it looks just like just another White Iris only to reveal its sophisticated semi-flaring subtle blue falls and clear bright white standards to the viewer once they get a little closer.A truly first class Iris from the late Paul Cook and a must have for Iris growers with good taste.Pollen Fertile. PRETTYFIELD (P. Cook, 1959) ML 36"
A pale amoena with absolute immaculate white standards and falls of increasing shades of blue, from the lightest tints and hues at the center of the flower to deeper blue at the edges of the petals. Enchanting HM 59. 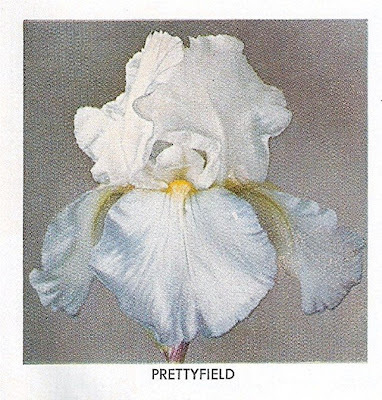 PRETTYFIELD (P. Cook, R. 1958). Sdlg. 11655. TB 38" M. W4. S. white; F. pale bluish violet to light violet at margin. Cahokia X sdlg. 3550., Cook 1959. HM 1959. 40 years old next year, another reliable Historic Iris I grow and its a re-bloomer. Good Straight stems, multi budded with branching, and a plant with high Health and shows good increase. The beard colouration is a wonder of nature and plant breeding, it's a great feature and I love it! GEORGE SHOOP (Hybridiser) Portland Oregon. LATIN LOVER (Shoop 69) Mid-season. 36" Lavender-pink standards, ruffled and closed. Grape-wine falls with a distinctive lavender-pink rim on the top and reverse side of the ruffled, flaring falls.Tangerine beards. Good substance and form. An exciting new bicolor. Good stalk and plant. 64-16 (long line of pink amoena seedlings x Whole Cloth) X Wine and Roses. This wine and pink bicolor is most distinguished with its rich, velvety grape-wine falls and a lavender-pink pin stripe around the edge. Standards lavender-pink, well closed - tangerine beard. Strong stalks and good growing habits. LATIN LOVER (G. Shoop, R. 1969). Sdlg. 64-16. TB 36" M. RV3PF. S light lavender-pink; F grape wine with light lavender-pink rim; tangerine beard; ruffled. (Inv. pink amoena sdlgs. x Whole Cloth) X Wine and Roses., Shoop 1969. HC 1968,HM 1970, AM 1972. The variety is available in New Zealand from commercial iris growers who I have had no dealings with to date, or commercial iris growers that I have purchased plants from but would not recommend others to do so. Available in America from Riverview Iris Gardens, Bluebird Haven Iris Garden, Blue J Iris, The Irises of Shadowood. I have several clumps of the Pollen fertile Tall Bearded Iris 'Foggy Dew' spread around the Gardens. Always looks outstanding growing among the deep blues and black Irises. This variety is a vigorous grower with great plant health. 40 years old and is still an Iris that is much admired. Bulletin of the American Iris Society, April 1969. Number 193. MORE CALIFORNIA FLAGS, 1969 Introductions, Keith Keppel, Stockton, California. Bulletin of the American Iris Society, October 1969. Number 195. FOGGY DEW (Keppel '69) was 'Seen in the garden as 64-37Q'. If there is such a thing as an amoena-plicata class, this iris certainly fits into it. This one lost its bloom stalk in the gale so I'll just have to describe it as it grows in my garden. A single rhizome planted last 'Summer' put up two bloom-stalks and made two nice increases. The foliage was a nice dark green and very vigorous. The thirty-six inch stalk had three modified candelabra type branches plus the terminal and all bud sockets were multiple and well timed. The large flower is well balanced with very ruffled erect pale lavender standards that touch. The broad flaring ruffled falls have a white base and are finely stippled with light violet in a plicata pattern. At the hafts this pattern becomes darker. The beard is an inconspicuous white. Texture is waxy and the substance is heavy and tough. Individual flowers lasted well for several days. Winner of the Premio Firenze for 1971, this is a representative of a new pattern in T.B. irises. Coming from Siva Siva X Diplomacy it is an "amoena plicata", and has taken lessons from its father which came second in the trial of 1969. The tightly coned standards are a soft blue, edged with pale yellow and with no plicata markings, the forms are white widely flared, with a blue stippling round most of the edge, but where the white beard starts the stippling changes to an all over pattern in deep violet making a fine contrast. When the judges arrived the clump of seven stems was in full flower and it says much for it that after a hot week including a thunderstorm ( which left it undamaged) a fine spike with five open flowers was still available for the prize giving ceremony. The stems had well spaced branching on there 32 inch height, with 7 to 10 buds, increase was good and the purple flushed fans a picture of health. The delicate colours were sun proof and the flowers lasted four days each in perfect shape despite the substance seeming to be in no way outstanding. FOGGY DEW (Keppel, '69)M 38in. The Iris Yearbook (BIS), 1975,"The Garden at Tanglewood", page 116,George H. Preston. 'Foggy Dew' is one of those new and unusual creations resulting from crossing of a bicolour with a plicata, the flowers were nicely shaped on well branched stems, but it is not easy to describe the colouring, the tightly held standards being of a creamy white and pale lavender blend, and flaring ruffled falls with a wide, soft violet-coloured border and deeper violet plicata markings toward the haft to show off a yellow beard. It is blessed with up to 10 buds, is a unique and interesting colour, but not one to show up well in the garden. FOGGY DEW (Keith Keppel, R. 1968). Sdlg. 64-37Q. TB 38" M. W2VY. S pastel blended greyed cream (M&P 19-B-1) and lavender (43-B-2); F white ground, wide soft violet border with darker plicata markings (42-H-8 to 46-L-8); white beard tipped yellow. Siva Siva X Diplomacy., Keppel 1969. HC 1968. H.M 1970. Premio Firenze 1971. Siberian Iris seedling blooming this morning. Its the start of a new line I am hoping to achieve in extending the bloom season and try and get some re-bloom thrown into the mix. To early to say if this seedling will re-bloom but it has good form and good size blooms each stem having One branch and 5 buds with blooms above the foliage, has good vigorous growth, all of which might make it avoid the compost heap. Still there is another 25 seedlings in this cross yet to bloom so here's hoping for some colour variation. Ran it past my good Siberian Iris friend Ellen Gallagher who "loved it" especially the ruffling which is "just the right amount"
MEADOW LARK (mtb) 1940, Mrs Mary Frakes Tharp, pioneer iris hybridizer of Payette, IDAHO. The variety blooming over by the Woolshed yesterday. An iris who's colouration is not generally well thought of by many, but at home growing amongst darker background foliage of the roses and the purple penstemon it is without question a stand out iris. It's like a little neon sign saying 'come and look at me'. This iris was registered as a Tall Bearded as you can see in the checklist description below but there is no doubt that the Iris is a Table or Miniature Tall Bearded and a plicata of sorts. 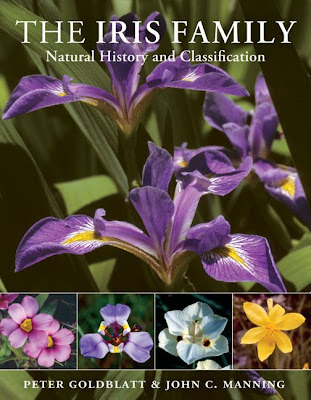 It was not until the publication of the 1959 Checklist that Miniature tall bearded (mtb) or table irises as they were also known received their own classification. (They were also known in breeding circles in the 1920 as "runts'). They are closely related to Historic diploid irises commonly referred to once as "flag irises'. 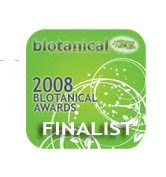 The Official classification is, Miniature Tall Bearded, (mtb) 16 – 27.5" tall, the flower is no more than 6" combined width + height, blooms with the TB’s. Table Irises flower for me just after the Tall Bearded Iris. Flowers are smaller than Tall Bearded which make them suitable for table decorations hence the name. Iris growers that I have contact with in Auckland have explained that modern Tall bearded Irises do not do so well, but Irises like the historic I.pallida which is a diploid, grows,blooms, and survives, so it stands to reason that Miniature Tall Bearded Iris (also mostly Diploid) will be strong candidate for success in this area also. My advice to Auckland gardeners is buy a couple varieties to plant in your garden and give them a shot. For the rest of New Zealand, Miniature Tall Bearded Iris will grow anywhere Tall Bearded Iris grow. Reader's will note in the color classification from the 1949 Checklist Y5D rev. it has the notation of rev. which is added to the symbol letters and means reversed i.e. the darker tone above. This Iris is available from Kingswood Irises 15 Railway Road Woodlands R D 1 Invercargill Write to Marion Rutherford for their Catalogue which is on CD with some of the best Iris photos around.